Everyone having a home entertainment system expects its sound to be so fantastic that the listeners feel as if the performers/ musicians are playing in front of them. The perfect sound from a home entertainment system depends upon various factors such as speakers, subwoofers, amplifier, placement of speakers and others. Upgrade the subwoofer: The subwoofer adds depth to the tracks. A good-quality subwoofer often improves the sound of a home entertainment system. However, note that the bigger subwoofers are not always the best. So, choose wisely. Upgrade the center channel: When a subwoofer adds depth to the tracks, it’s the center channel that does the heavy lifting part. A big center channel handles more bass and provides life-like dialogues and amazing effects. 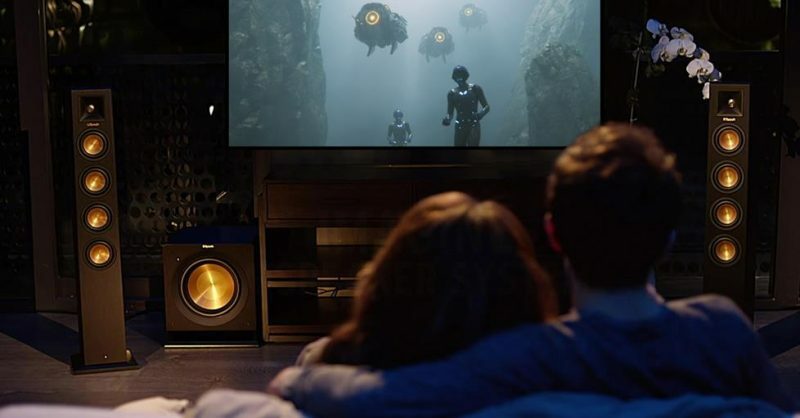 Match the speakers: If your home entertainment system consists of the player of some brand and speakers of another brand, you might not get the best results. When the sound travels through such a setup, the sound signatures change. Change the placement of speakers: Some people place their speakers in the extreme corners of a room, near the room’s ceiling, or inside the entertainment cabinet. Then, they complain of not getting the perfect sound. Here, just change the placement of speakers and enjoy. Upgrade the amplifier: If the amplifier is not powerful enough, even the best brand in the world can’t produce the overwhelming sound. The opposite of this is also true – even a mediocre home entertainment system can produce wonderful sound with a strong amplifier. Replace the connecting cables and speaker wire: The quality of speaker wires and connecting cables are also responsible for the sound. If you invest in a high-quality cable or wire, you will get good sound. However, the best is the wireless entertainment systems from brands like HDH Tech. Soften all reflective surfaces: Reverberation is good in the context of an amphitheater or a concert hall but not in the case of homes. Make sure that the hard walls of your room don’t reflect the sound inappropriately, so soften the reflective surfaces. There are many DIY techniques which bring extraordinary results without hurting your pocket.